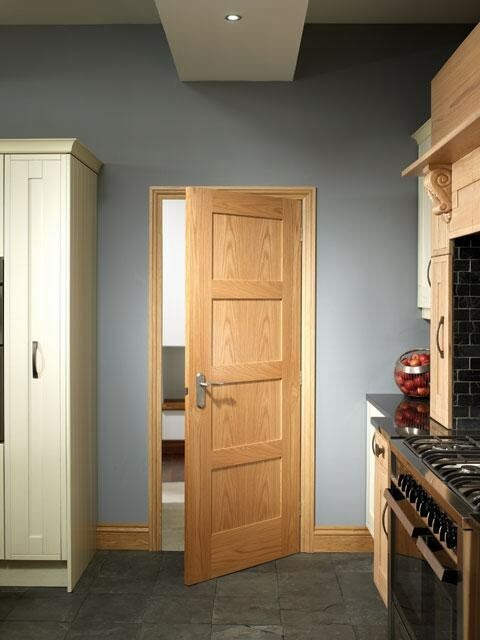 44mm flush veneered 4 panel FD30 fire rated internal oak veneered door. Supplied factory finished in clear satin lacquer. Available in standard imperial sizes with 10 years manufacturing guarantee. 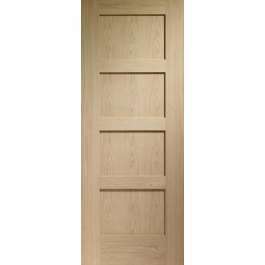 Elegant and stylish, classic four panel Shaker door. This fully finished, fire resistant door is available in a large range of imperial sizes including matching glazed non-fire doors with both clear and obscure toughened glass as well as unfinished solid and glazed non-fire and FD30 fire doors.